TEAS Science Practice Test: Get Ready for Your TEAS Science Exam! 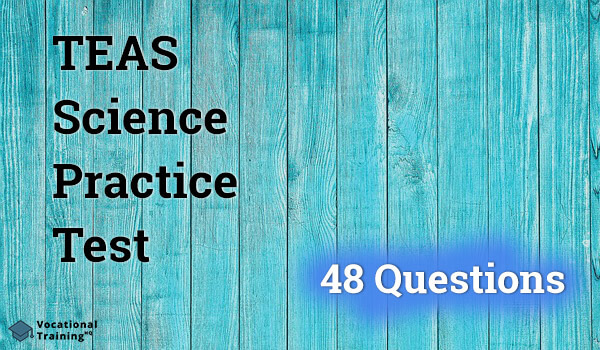 The TEAS Science Practice Test is a Test of Essential Academic Skills that evaluates the specific scientific knowledge, analytics, and understanding of the topics: life science, scientific reasoning, human body science, earth science, and physical science. This exam is developed by Assessment Technologies Institute and it is a prerequisite one of the determining factors for acceptance in numerous nursing programs. The number of protons in an atom's nucleus equals the atomic number of the atom. The correct answer suggests that there is a 50 % chance that the parents will have a biological offspring with brown eyes (Aa). Please mark the correct word of the following sentence: The functions of the liver are part of the ______ system. The liver fliters blood and it is a part of the lymphatic system. Only 35% of the students have expressed their dissatisfaction with the new cantine. Therefore, the new proposal will not pass. People who have a regular breakfast have fewer instances of insulin resistance. Therefore, good-quality breakfast can prevent diabetes. All painters who are educated have this certificate. Therefore, any future painter who will finish university will have the certificate. All interpreters are good listeners. Mary is an interpreter. Therefore, Mary is a good listener. The correct answer is D: there is a basic correct premise which is followed by a specific logical conclusion. DIsc herniation is a spinal injury that occurs when the core of a disc in the spine leaks out. A regulator of involuntary activity in the heart, lungs, stomach, and intestines. A regulator of the voluntary control of body movements through skeletal muscles. A part of the nervous system that consists of the brain and the spinal cord. The autonomic nervous system regulates the functions of the digestive, respiratory and cardiovascular systems. Which two of the following are compounds of the output of glucose and oxygen during the process of photosynthesis? Carbon dioxide and multiple alkaline substances. The correct answer is carbon dioxide and water. Please consider the following diagram before you answer questions 8 and 9: Which of these is true regarding the frog? A member of the Salamandridae family. Closer to tetrapods than to newts. 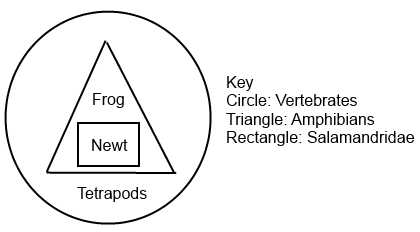 The triangle represents amphibians and the frog is a type of amphibian. All amphibians are vertebrates. Not all vertebrates are amphibians. Some Salamandridae are amphibians. Not all amphibians are tetrapods. Some amphibians are vertebrates. Not all amphibians are vertebrates. All amphibians are Salamandridae. Nor all Salamandridae are amphibians. All the amphibians belong to the category of vertebrates. For training nurses to detect early symptoms of diseases. For controlling the spread of diseases in third world countries. For predicting the results of potential infections. 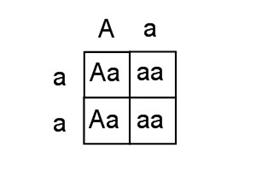 The diagram is used to determine if the exposure to a certain disease will lead to disease transmission. Hydrogen bonds are formed to stabilize the double DNA helix structure. The nucleus of an atom contains only neutrons and protons. Secondary consumers acquire less energy content than tertiary consumers. Primary consumers acquire more energy than tertiary consumers. Primary consumers acquire more energy than producers. Primary consumers acquire less energy than secondary consumers. Primary consumers have more energy than both secondary and tertiary consumers. A red automobile will not absorb light wavelengths from colors that are not red. A red automobile will absorb red light wavelengths. The molecules of the automobile paint absorb green and blue light wavelengths. The molecules of the automobile paint do not absorb red light wavelengths. The wavelengths which are reflected of an object determine the color which is perceived by our eyes. The so-called independent variable is a factor controlled by scientists. The endocrine system contains glands that regulate metabolism, growth and other essential bodily functions. Vector components of a penny are less complex than those of an elephant. A penny is a projectile while an elephant isn't. Both of them have a 9.8 m/s2 acceleration. The elephant is more slowed by the effect of air resistance. The significant amount of air resistance will make massive objects to fall free faster than the smaller ones. The correct answer is B, i.e. the momentum of an object equals the mass of the object, times the velocity of the object. What is the best description for the type of correlation between the fact that an invasive species in a river provoke the decline of the population of salmon native to the river-region? a direct and indirect relationship. The two factors, in this case, have a strong correlation and affect each other. The catalyst will increase the energy needed for the reaction to occur. The catalyst will increase the time needed for the reaction to occur. The catalyst will increase the rate at which the reaction will occur. The catalyst will reduce the number of products in the reaction. The correct answer is C because the addition of a catalyst will increase the rate at which the reaction will occur. The pharynx belongs to the respiratory system. They do not contain lysosomes. The number of neutrons defines the specific isotope of an element. The RNA contains a sugar called ribose. The RNA does not have the thymine as a base pairing. The RNA is not stable in alkaline conditions. The RNA contains less sugar that the sugar in the DNA. Distribution of weekly income of Swedish families. The distribution of heights in a large sample of people. The percentage of toxic substances in the atmosphere will decrease the lifespan of organisms in the location. A curve with 97% of the population within the first standard deviation. If the percentage of toxic substances increases, the living organisms will decrease. The Golgi apparatus is inside a cell's cytoplasm. According to taxonomy Family is the next-smallest after Order. The cytokinesis provokes the formation of a cell plate in plants. The information in the DNA is stored in the nucleotides adenine, guanine, cytosine and thymine. The thermosphere is the highest atmospheric level. The parenchyma is not one of the 4 basic types of tissue. The stomach is ________ to the small intestine. The stomach is superior to the small intestine, meaning "above". The number of protons plus the number of neutrons determines the atomic mass of the atom. Please mark the most adequate damage that is likely to have happened to a patient who has suffered head trauma and is not able to recognize people he met after the injury but can recognize people he met before that. The hippocampus storage's a person's memory. The correct answer if the process meiosis. The mechanical bond is not a chemical one. The mass and density don't decrease. The mass increases while the density decreases. The mass decreases as well as the density. The mass and the density increase. The mass of air increases as well as its density. How much Na Cl is dissolved in a 200 mL solution of sodium chloride( 60%)? A 200 mL of a 60% NaCl solution, equals 120 g of NaCl dissolved in the solution. The number of reactants (24) must be equal to the number of carbons (24). 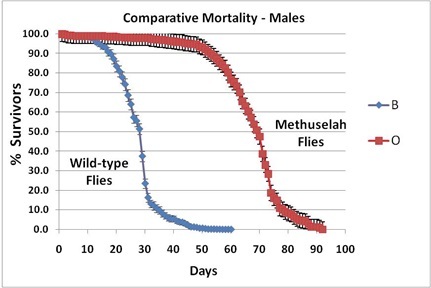 The correct answer regarding the methuselah's survival is 1/5. Power equals energy divided by time. The price is likely to increase as the quality increases. 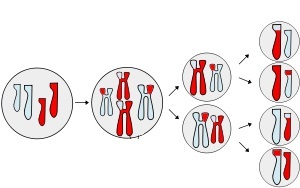 Mitosis produces 2 diploid, so-called daughter cells. The three animals belong to the same kingdom of Animalia. Which hormone will cause a decrease in water retention? The ANP is a hormone that contributes to the increase of excretion of water. The oxygenated blood flows out of the left ventricle. The dopamine is a neurotransmitter secreted from the hypothalamus. 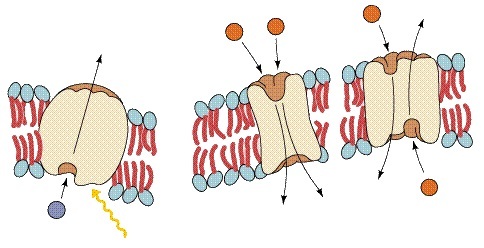 The Ion Channel does not use ATP and therefore it is not active transport.